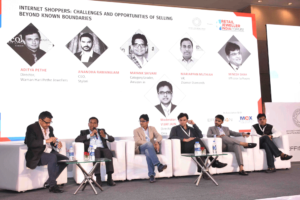 Started in 2015 in Mumbai, Retail Jeweller India Forum is a premium event and the only retail platform providing deep insights and the analysis of the Indian Retail Jewellery Industry. 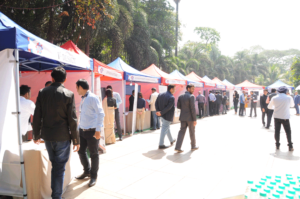 The Building on the success of the previous editions the forum gets eminent speakers from various industries like marketing, finance, retail, manufacturing, visual merchandising, PR e.t.c. The jewellery industry is on the cusp of broad-based change. It faces the new dynamics of multi-channel retail and evolving consumer expectations. To cope and thrive in this shifting landscape, retail jewellers must acquire the right knowledge from experts and learn how to adapt and respond quickly and effectively. 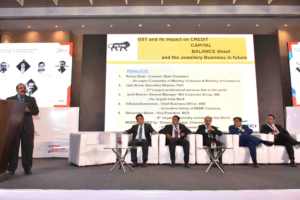 With the advent of organised retail industry, jewellers across India are aggressively on the lookout for professional organisations with proven experience in the jewellery industry with whom they can collaborate to develop the precise retail solutions they need. Given the fragmented nature of the industry and the high concentration of service providers in the metro cities, it is often difficult if not tedious for retail jewellers to identify the best resource for a particular service. The RETAIL SERVICE EXHIBIT at the forum fills this void by picking companies that have strong, demonstrated synergies with jewellery retail’s requirements, and bringing them together on a single platform. 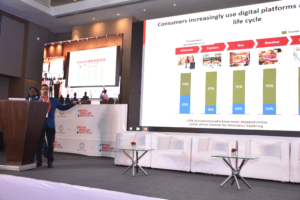 The forum is a great place for you to take advantage of the collective intelligence of the progressive thinking retailers from across the country. 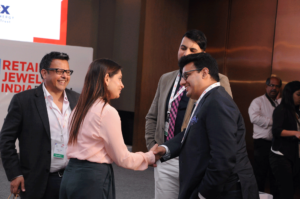 Retail Jeweller India Forum gives you the unique opportunity to network with your peers and combine your expertise with their experience by gaining information and using it to your advantage. The aim of this expert-led knowledge platform is to strengthen the Jewellery retail business, making it resilient and responsive, through focused discussion and the generation of futuristic and innovative solutions. The goal is profitable and sustainable business growth in the coming years. Innovations and differentiation are the two cornerstones of the forum, with the advanced knowledge on new upcoming and innovative technologies and strategies.